Another treat from the creator of the Vorkosigan sagas. This novel continues the expanded family history with hardly a drop of blood spilled. Not sure I’ve read such a peaceful space opera; no one dies, and the worst injury is accidental. Positively domestic. What with all the winding down and tying off loose ends, it reads like a coda to the series. Hard to believe Bujold would break such a popular chain. Perhaps this summation is for Mile’s mother, Cordelia (who, I hasten to add, doesn’t die. See above). All the talk—external and internal—does lapse into preaching at times. But Bujold is such a gentle nag that the reader need not fell badgered. Bujold’s internal monologue is entertaining and insightful, however it occasionally gets so involved that the sense of the external conversation is lost. More than once this reader had to go back and read just the dialogue to recover the thread of the conversation. Disturbs the verisimilitude. Recently tor.com asked ten authors to discuss hard versus soft science fiction. Most of them dodged the question by trying to define it away. My take is that hard SF relies on science that is possible given the current state of our knowledge. Soft SF allows itself to fantasize the impossible . For example, travel through wormholes is impossible (though there is debate) given that wormholes, by definition, are blackholes. The gravitation forces would disintegrate any vessel long before it could pass through the theoretical connection. (Disregarding the stability issue.) Bujold and others happily posit a grid of stable wormholes through which intergalactic contact, commerce and of course war is facilitated. And we all love it. But it’s soft science fiction. Quibble: what’s with all the sandwiches? The Earls of Sandwich will be grateful for the many mentions of their eponymous culinary invention, but you’d think humans would have more creative eating habits in the brave new future. Bujold gently, almost subliminally, guides the reader through considerations of love and hate and coming to peace with our individual and collective pasts. It merits further consideration, which I will attempt here. 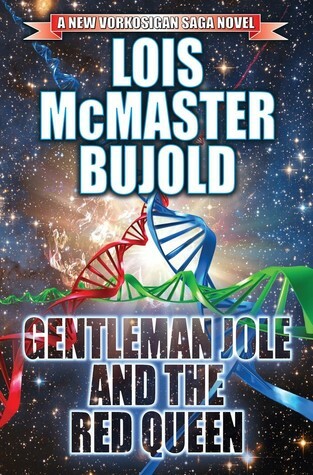 For now, let me say that, while this book may disappoint those seeking a traditional space opera as Vorjkosigan tales are usually, Bujold gives us a kind-hearted, even domestic tale which is equally enjoyable. Good job. This entry was posted in Book, book review, Reviews, Ron Andrea and tagged coda to vorkosigan series?, lots of talk less action, space opera soft science fiction by andreart2013. Bookmark the permalink.